Size: 40 x 40 x 14.6mm / 1.6" x 1.6" x 0.6"
Collar size: 36 - 53CM /14" - 21"
LIGHTWEIGHT & UNIVERSAL: 50g ultra lightweight tracker can easily be mounted on the equipped lanyard or pet collar. 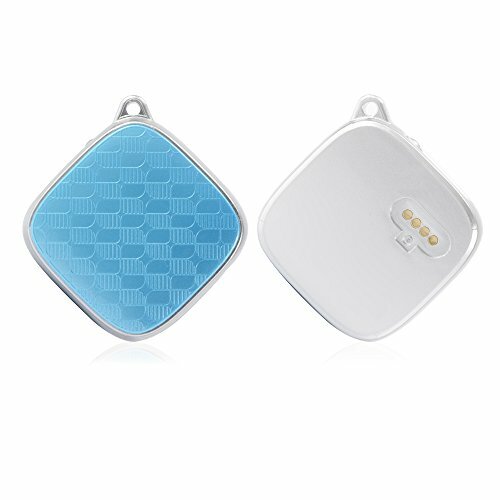 Ideal locator for elderly, children, cats and dogs.Item Size:1.6" x 1.6" x 0.6", Collar Size:14" - 21"
MULTIFUNCTIONAL: IP65 Water-Resistant, History Trace Replay, Geo Fence, Voice Listening, SOS Alarm, Low Battery Alarm, etc. VOICE LISTENING: Set the Voice Listen mode and your Central Number, dial the device number to listen to the scene.